Urea in Hydroponics – Positive or Negative ? When we supply nitrogen in our hydroponic solutions there are always a several ways in which we can fulfill our plants' needs for this nutrient. The traditional way is to supply nitrogen solely as nitrate (NO3-) salts, something which is well proven to give good results, high yield crops and better than soil growth. However it is always good to ask if a combination or the use of additional nitrogen sources may improve the outcome of our hydroponic experience. Particularly since plants in soil absorb nitrogen as nitrate and ammonia it becomes worth asking if a slow releasing source of ammonia- such as urea - would improve the yields of our hydroponic system. On this post I will write a little bit about the use of urea in hydroponics and the scientific evidence that there is to support or reject its use. 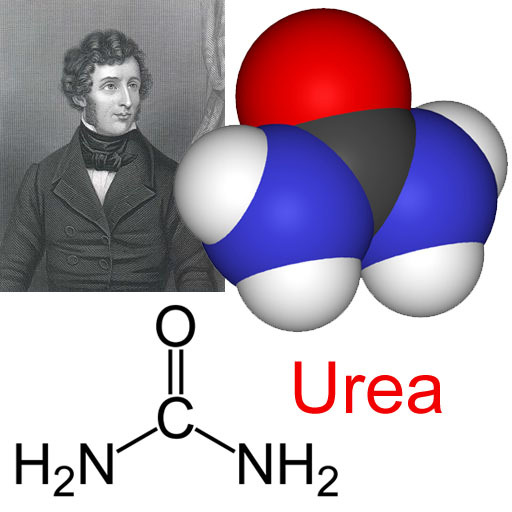 Urea is an organic molecule which slowly decomposes in water to yield ammonia and carbon dioxide. If the media is slightly acidic, the ammonia released will get protonated to form ammonium, a form of nitrogen which can be readily assimilated by most plants. Moreover, this form of nitrogen can also be processed by bacteria to yield nitrate, providing us with an additonal - slow release- mechanism for nitrate supplementation. Several research groups have asked themselves if urea would bring any significant benefits to hydroponics crops. Of particular interest was a study published by Oda et al, dealing with the effects of Urea and nitrate fertilization in hydroponics crops using both organic (peatmoss and baggasse), inorganic (rockwoll and sand) media and pure NFT systems. After doing a study with several concentrations of Urea and Nitrate -both by themselves and combined - this research group found out that Urea does not improve crop yields in NFT systems and indeed pure nitrate does the best job when no media is in place. When media is introduced, organic media shows a faster Urea to Ammonia conversion but Ammonia to nitrate conversions are faster in inorganic media. However, the effect of Urea remains poor in the sense that nitrate-only crops outperformed almost all crops except for some plants grown with small quantities of Urea which proves to be beneficial in the same way as small additions of ammonia are already known to be. So in the end, is it worth to add Urea to a hydroponic formulation ? The scientific evidence says that Urea does not have any clear beneficial effect that could not be gained by a small addition of ammonium salts, something which has already been confirmed by several studies done on different plant species. If you are planning on starting a new hydroponics crop adding about 5-10% of your total nitrogen as ammonium may prove to be beneficial but any addition of Urea seems completely unecessary. Of course, further research on this subject would be needed to know the effect of nitrate/ammonium/urea combinations to know if the beneficial effects are a sole consequence of the presence of small quantities of ammonia or a virtue of the "regulatory" effects introduced by Urea as a slow release ammonium fertilizer. Thanks for the info on Urea. That really cleared things up. I switched over to Hydroponics a couple years ago and it's the perfect solution. My garden was always so so, few vegetables and lots of weeds. I couldn't afford to buy a hydroponic system so I started building my own. It's way easier than it looks. Anyway, I just wanted to stop by and support another hydroponic enthusiast. Considering many hydroponics formulas use Calcium Nitrate as a main nitrogen source, and this contains approximately 11% Ammonical Nitrogen NH4, is this simple a cost effective move do you believe? Or is there other benefit to using Calcium Nitrate as a Nitrogen source other than the addition of the 88% Nitrate NO3 nitrogen, and the high Calcium content also? What is the actual name and year (published) of the research you cite re Oda et al?I'd like to have a look at the actual paper. Keep up the great work! Thank you very much for this information. I am doing a project for the AICE program of Cambridge and this is very good information. Though the finding is giving clear indication that use of Urea is not showing any positive impact. But in the trail role of Urease is missing. We need to understand impact of Urea in Hydroponic system by providing Urease enzyme and urea hydrolysis microns..